We are in the business of, as we call it, bringing up emeralds. 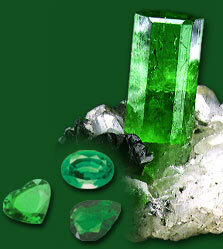 We have always believed that an emerald is not just a lifeless stone. It like a human being, is an individual with uniqueness to its character and personality. Having kept pace with the latest technologies, and with a firm conviction in our philosophy, we provide consistently fine quality in emeralds at competitive prices.